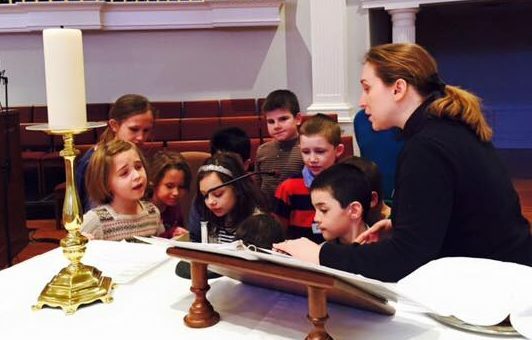 All ages are welcome in worship at St. Peter’s! We love to have your child with us for worship and hope that each time they are here they experience God’s love and presence in their lives. Worship bags are available at each of our services. They are designed to engage 3 year olds through fourth graders during the service through a children’s bulletin and a Children’s Story Bible or the Comic Book Bible. Look for the “Ark” in the narthex and pick one up! Children’s sermons are also offered each week. Children are called forward to hear a mini sermon based on the day’s Gospel. Through stories or object lessons, our pastors and lay leaders help relate biblical themes in ways that kids can understand and apply to their lives. All ages are welcome to the Lord’s table for communion. 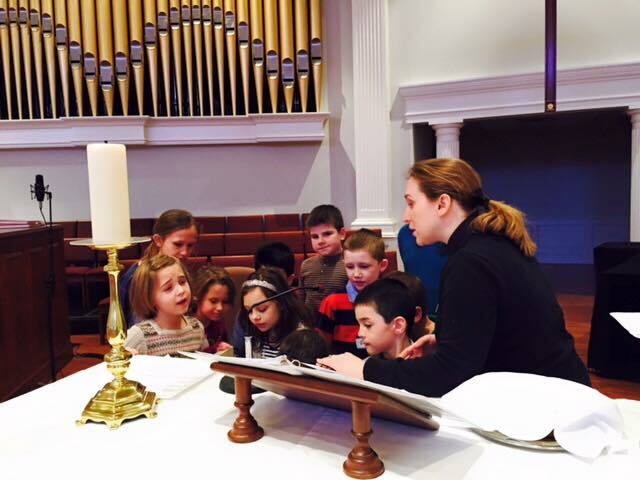 Each spring we offer a class to introduce children to communion and answer questions from parents, followed by a celebration of First Communion at a Sunday service. We cherish you and your child in worship, whether it’s a happy day or a cranky one. If you need a moment of seclusion, our main sanctuary features an adjacent Cry Room, with comfortable seating, windows into the worship area and audio feed, as well as changing facilities. We also offer professionally staffed nursery care at all of our services. Be sure your kids join in our Sunday morning Christian Education opportunities during the school year!